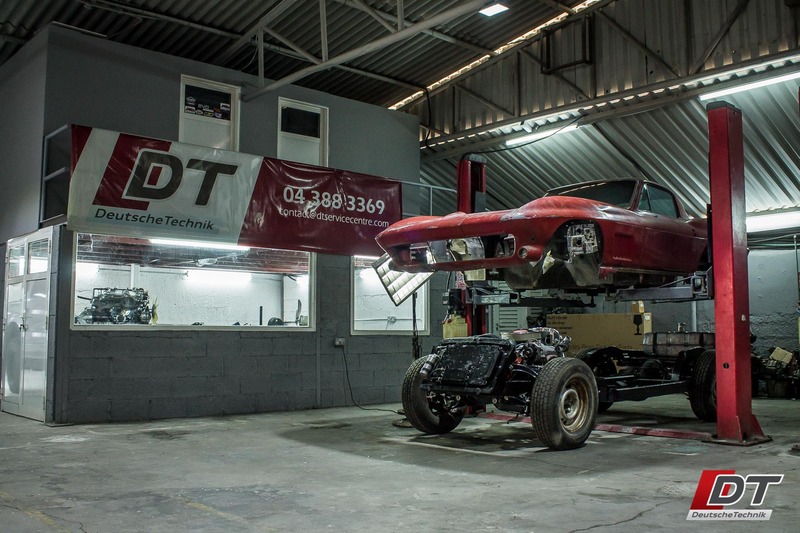 Classic Car Restoration at DT Service Centre in Al-Quoz! We’ve built an illustrious portfolio of vintage car restorations over the years, come take a look! 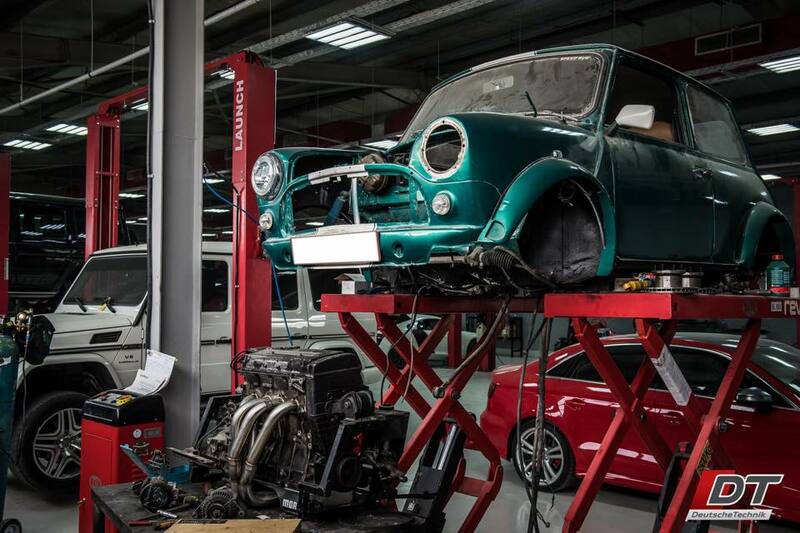 Classic car restoration at Deutsche Technik came about organically, out of passion and customer demand. Our first project was a non-running, pink 1960 Cadillac Coupe DeVille that came to us in a state of disarray. With nearly as much rust as there was intact body work, and an interior that looked like it had been a home for small animals for longer than it spent transporting people. The engine and gearbox were both rebuilt, trim was re-chromed, the interior completely reupholstered, the body and chassis brought down to bare metal and repainted, the car was rust-proofed, and new custom windows were made as well. 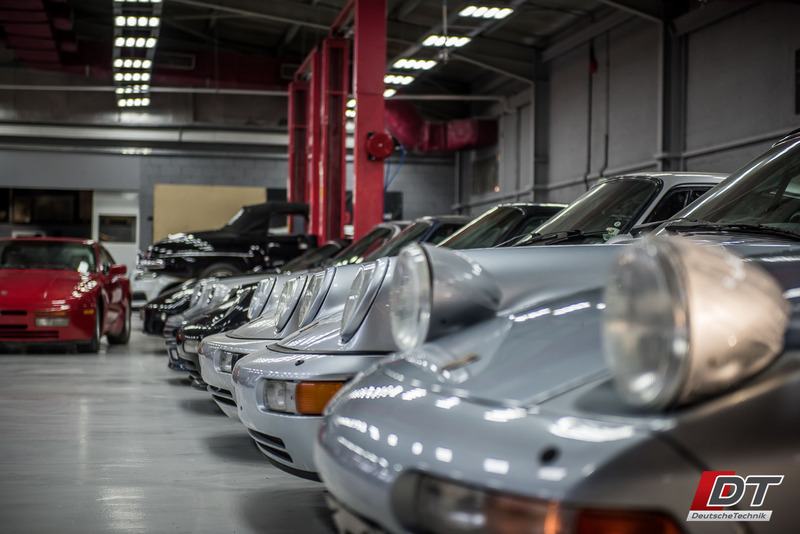 Since then, we have restored in a similar fashion countless air-cooled Porsches from the 60s onwards, three Pagoda Mercedes SL’s, several Datsun 240Z’s, a 1965 Lincoln Continental with air suspension, a Maserati Merak, Lamborghini Diablo, 1963 Chevrolet Corvette, a DeLorean DMC-12, and much more. 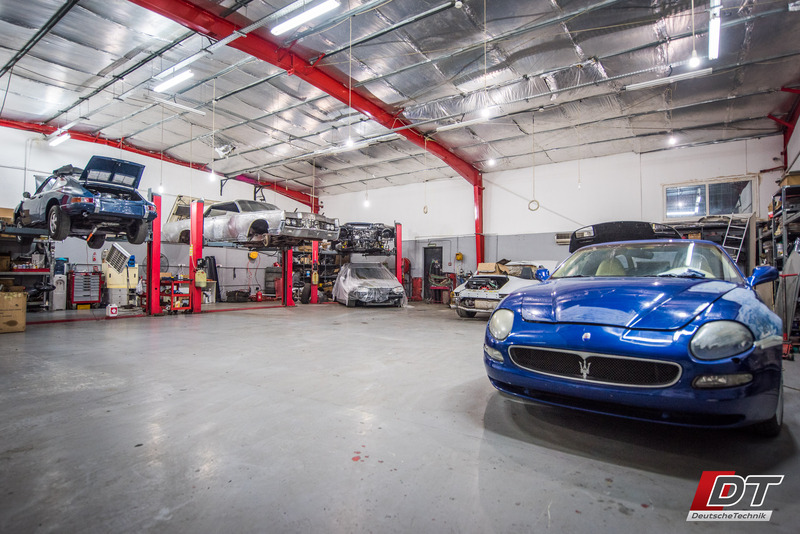 If you’re looking for a quality restoration job done by skilled professionals in an honest and open workshop, you needn’t look any further. When you need your vintage car to survive a nuclear blast, and look absolutely stunning even when inside an X-Ray machine, this is the type of restoration service you will need to carry out. We separate the body from the chassis which allows us to completely refurbish the chassis. This also gives more access to more areas of the body work itself. Every inch of the car, inside and out, can be restored to a condition that far surpasses the condition of the car when it was factory fresh. 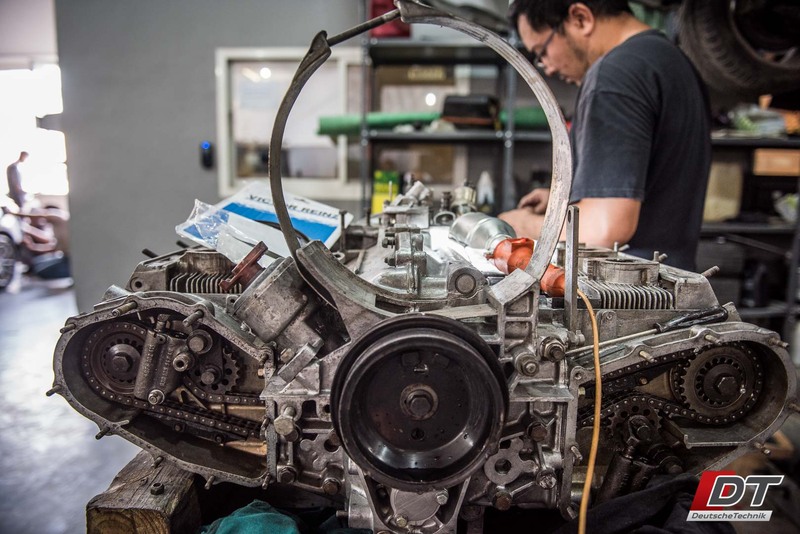 The engine and gearbox can either be overhauled or completely rebuilt, the interior reupholstered if need be, custom carpets can be made, and much more. Deutsche Technik works closely with the client to make sure that there is perfect balance between customer requirements and workshop recommendations so they get the best possible service and a car that drives trouble-free for many years. 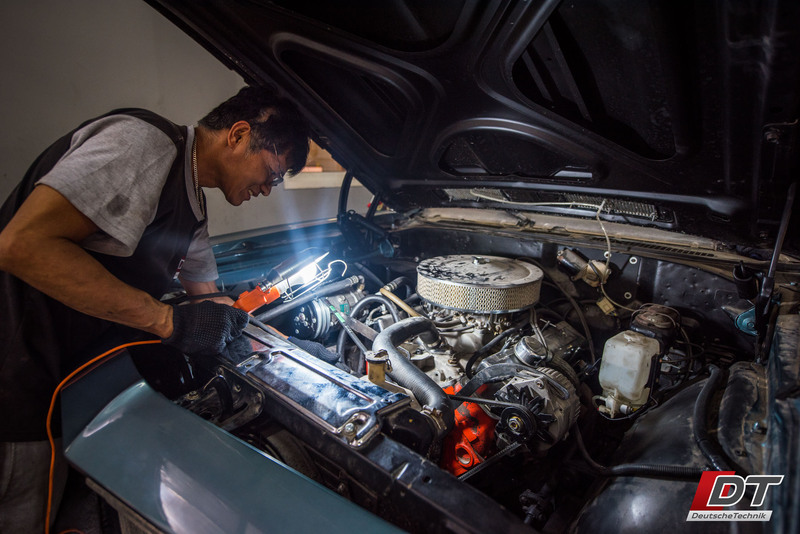 For relatively clean classic cars, there may not be a need to separate the frame off the body in order to do a great restoration that stands the test of time. 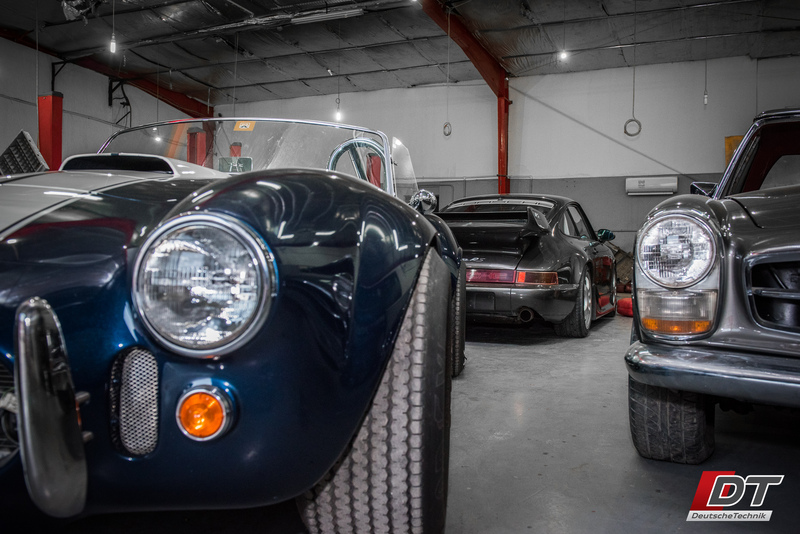 In this case, the restoration takes less time, costs less money, and maintains more originality in the factory fit and finish of the car overall. The car can still be made to have an absolutely brand new look that lasts, and the mechanical works possible are unaffected. Carburetor tuning is slowly becoming a lost art, especially in the UAE where carburetor tuning is not very much in demand and is difficult to perfect in the UAE due to the climate. Carburetors have a tough time here as their intricate parts are susceptible to accelerated wear due to the warm weather. The tuning should also be adjusted twice per year during the season change between summer and winter. Depending on the engine and the layout, some cars come with two or as many as four carburetors which makes the tuning process far more difficult as they all must work in harmony with each other. Luckily, at DT we have tuned, cleaned, refurbished, and rebuilt more carburetors than we have done brake pad changes on vintage cars. Our process is a rigorous one that involves multiple road tests and a chemical analyzer as well to make sure the result is nothing short of perfect. Clearances. Torque values. A sterile environment for the rebuild. Professional measuring equipment. An exhaustive knowledge of engine machining and when it is required. A deep understanding of the changes in clearances that come about during a rebuild. These are just some of the requisites required to properly rebuild an engine, and each of them are quite extensive topics in their own rights. And this doesn’t even include the required skill to properly lubricate a freshly rebuilt engine, what is required to break it in, and when the first and second service is required, etc. This knowledge, skill, and experience is what makes the difference when it comes to engine builds. If you need your vintage car’s engine overhauled or rebuilt, or a vintage or modern performance engine built, let us know. We won’t blow your engine, we’ll just blow your mind. Rebuilding and overhauling a transmission is a complicated affair. A wealth of knowledge and experience is required to do it to a high standard. 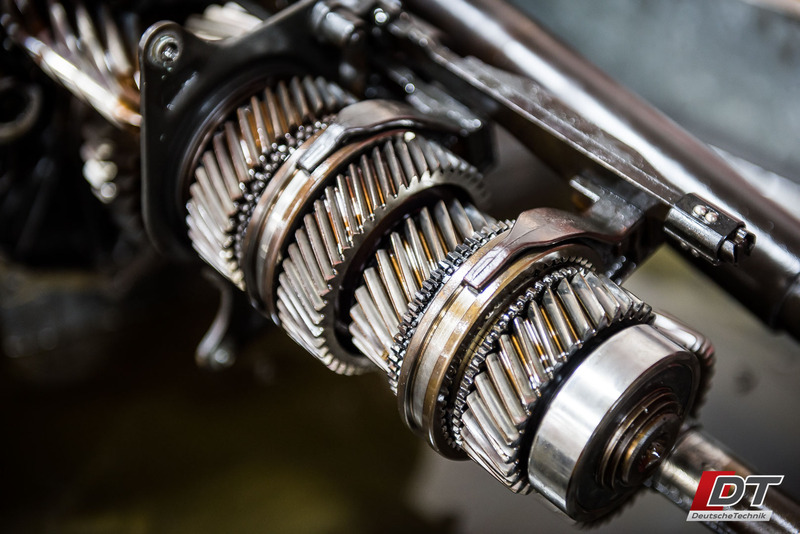 Transmissions, and other gear-train components such as transfer cases and differentials require an in depth knowledge of their innerworkings and the required clearances to make sure the transmission will operate properly for generations to come. At DT, we go far above and beyond this. We have the skill, ability, and experience to convert a 5-speed manual transmission into a 6-speed manual unit, or uprate the internals of the drivetrain to handle higher power figures. So, if you need a gearbox, differential, or transfer case rebuilt, shift down to DT, we will make sure you leave with a silky smooth transmission. The look and overall aesthetic of vintage cars is absolutely breathtaking and unlike anything on the road today. 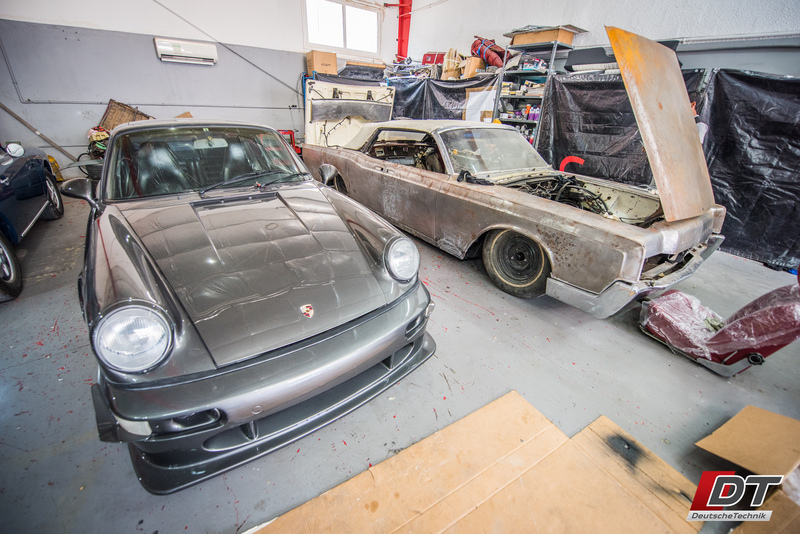 A classic car worth 30,000 AED will turn more heads than modern vehicle worth 300,000 AED. It’s like that for a reason, with less laws and regulation surrounding car design, and the materials available in yesteryear, some incredible designs could be made. The only problem with vintage cars today is their use of old technology can make the car difficult and troublesome to drive, problematic to maintain, and in some cases, downright dangerous. What if you could outfit a vintage car with modern accoutrements such as a modern engine, gearbox, brakes, suspension, A/C system, interior infotainment and audio system, lights and more? You get the best of both worlds. This is something that Deutsche Technik can do to a very high international standard. If you need a restomod done, give us a call. Passing a vintage car can be a daunting task. Deutsche Technik offers a concierge service for this ordeal so you don’t have to do anything but pick up the phone and give us a call. We will collect the car, prepare it for passing, get the car passed and registered if required, and deliver it back to your home cleaned inside and out. What more could you ask for? Call now.